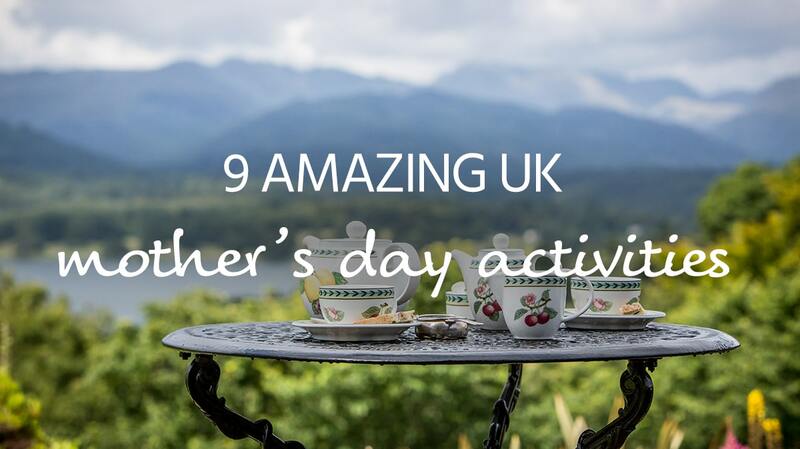 Whether you want to take mum away for Mother’s Day weekend or plan a surprise getaway for later in the year, we’re recommending activities to suit all kinds of mums. So if you’re struggling for ideas, look no further! Does your mum loves a full English breakfast? How about eggs benedict, some healthy porridge and fruit, or perhaps a short stack of pancakes? Whatever she’s into, brunch is always a great way to start the day. Manchester is something of a hub of brunch spots, from traditional greasy spoons to trendy little cafes. Celebrity hangout The Koffee Pot is one of, if not the best spot for breakfast in Britain. Moose Coffee is the place to head for pancakes, and Home Sweet Home does a mean eggs benedict. Albert’s Shed in Castlefield is great for canal-side dining, whilst North Tea Power do a great coffee and some lighter brunch options. Then you’ll be ready for shopping! Is your mum a culture vulture? Did you know that Norwich was the first English city to be declared a world UNESCO City of Literature? The award recognises this East Anglian city’s literary heritage, along with its ongoing commitment to culture. For anyone who loves culture and the arts, Norwich is a fantastic destination, and boasts a huge range of galleries, museums, theatres and music venues throughout the city. Head a little further out, and you have the glorious Norfolk countryside and coast to enjoy too! Proving that southern England doesn’t have a monopoly on spa towns, the charming town of Strathpeffer – some 20 miles north of Inverness – is a magical hidden gem. For the Victorians, this Scottish hideaway was the location of invigorating spa baths and even a peat bath. Today it’s a conservation village, and you can take your mum to the historic pump room to learn about the town’s history. 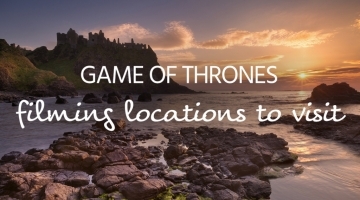 Once you’ve had your fill of quaint Victorian charm, you can enjoy the natural beauty of the surrounding hills, or discover the nearby Pictish hill fort. The seaside town of St Ives, Cornwall, has long served as both home and inspiration to some of the world’s leading artists, including Ben Nicholson, Naum Gabo and Barbara Hepworth. Today, St Ives remains a thriving hub of art and is the perfect mother’s day destination if your mum is a fan of the visual arts. You’ll also find a host of galleries and buzzing workshops thriving in the town. With stunning seaside and plenty more to explore, it’s the perfect south west escape to enjoy with your mum. If your mum loves getting outdoors and enjoying some spectacular scenery, she’ll love a mother’s day trip to the Brecon Beacons National Park in South Wales. Along with landscapes that offer some of the most extraordinary natural beauty in Britain, you can also discover something of the region’s magnificent industrial heritage, ancient ruins and mysterious caves. For a lakeside nostalgia trip, head for the Brecon Mountain Railway. Take your mum to see the amazing waterfalls, explore the Blaenavon World Heritage Site, or experience the magical beauty of Llanthony Valley. What more traditional way to spoil your mum that with the elegance of taking afternoon tea? Enjoy delicate, finger cut sandwiches, freshly baked scones with real clotted cream, the finest teas and perhaps even a glass of Champagne. There are lots of city locations for afternoon tea, of course, but the restaurants and cafes of the Lake District offer a special combination of high tea and stunning views. We’re rather partial to tea at Holbeck Ghyll, where you will find some of the most amazing views of Windermere. 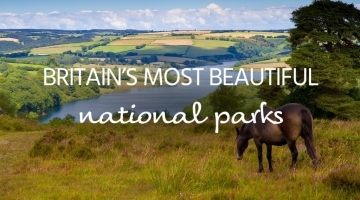 For glorious gardens, stately homes and picturesque parkland it’s difficult to beat the gorgeous Peak District. 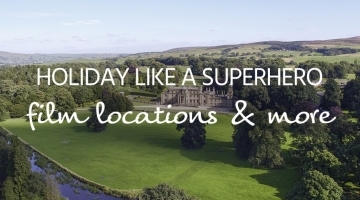 From the magnificent Chatsworth to Lyme Park, Rode Hall, Calke Abbey and the Pavilion Gardens, there are some fantastic places to explore in Derbyshire and the surrounding areas. For a Mother’s Day treat, the Heights of Abraham offers a fabulous cable car journey across the Derwent Valley, and there are some lovely tea-rooms to enjoy once your feet are back on the ground. If you’re ready for the sun and some early seaside fun then head to what many claim is the sunniest place in Britain. Eastbourne, in East Sussex, offers dazzlingly white shingle beaches, grand Victorian terraces and some seriously stunning coastal views. It’s perfect for a scenic, seaside getaway and ideal for an unforgettable Mother’s Day getaway. With heritage locations throughout England, Wales and Northern Ireland you won’t have to travel far to treat your mum to a National Trust experience. Whether it’s daffodil potting at Gibside, Tyne and Wear, snowdrop planting in Somerset, afternoon tea or a quiet picnic followed by a wander around the gardens in one of hundreds of historic locations, a special time for two is guaranteed!